The following guidelines apply to SAP Cloud Platform Cloud Foundry and SAP Cloud Platform Neo. 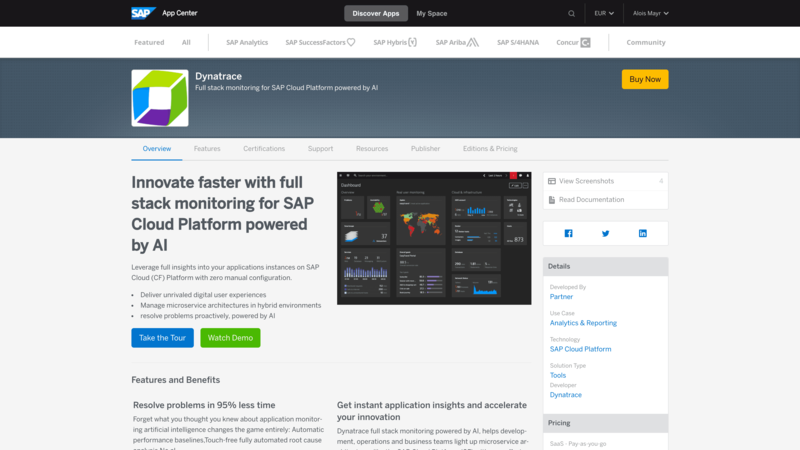 If you don&apos;t have a Dynatrace account yet, you can get one from the SAP App Center. This step needs to be done for both Cloud Foundry and Neo environments. 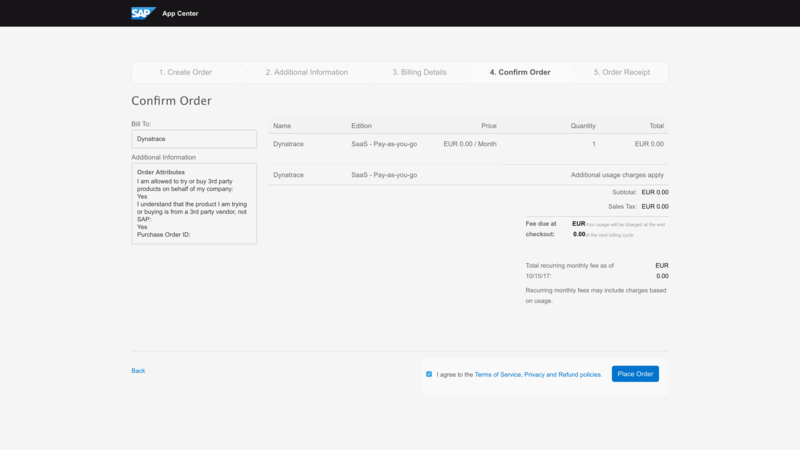 Click the Buy Now button to initiate the purchase order in the SAP App Center. Select your preferred license model and click Continue. 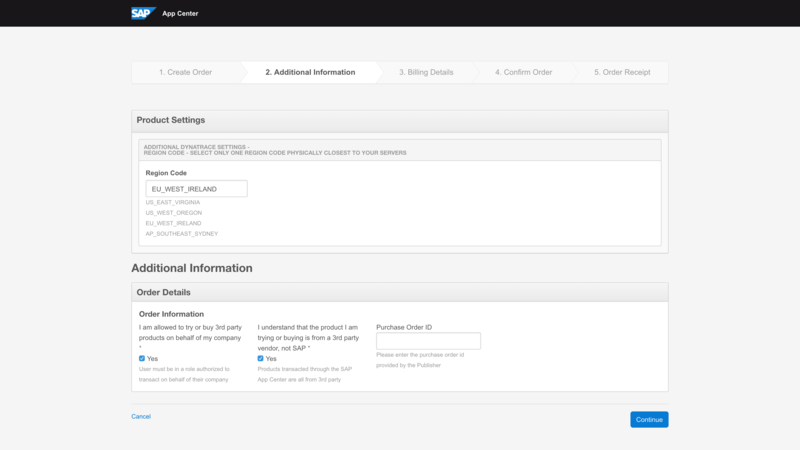 Select the region closest to your SAP Cloud Platform environment, review the order details information, and click Continue. 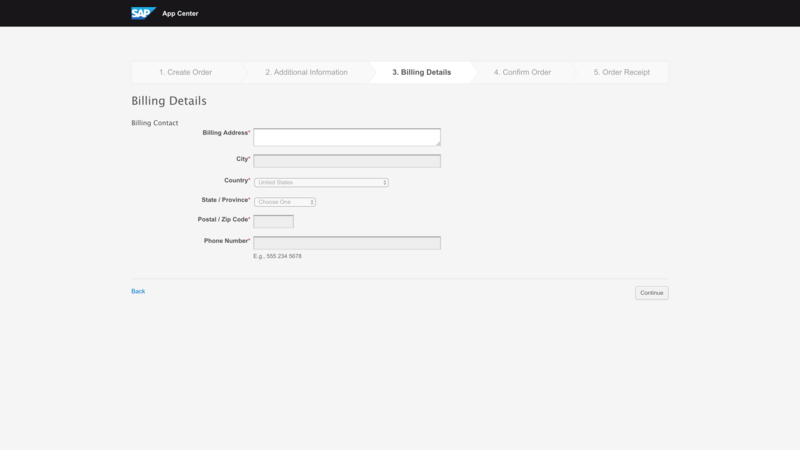 Provide your billing details and click Continue. Review, confirm, and place the order. You&apos;re almost there! Click Go to MyApps and check your inbox for an email from Dynatrace that includes your account information and instructions. Follow the instructions in the email from Dynatrace. 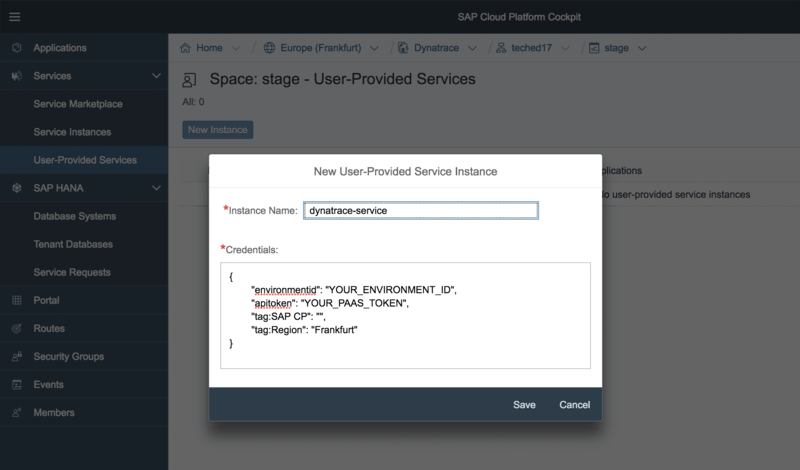 In your Dynatrace environment, get your environment ID (your environment ID is the string of characters at the beginning of the URL you use to access your Dynatrace environment), and generate a PaaS token for the SAP Cloud Platform. The SAP Java Buildpack is maintained by SAP. If you experience issues with the SAP Java Buildpack, please refer to support component BC-XS-JAV and issue a ticket at SAP Support Portal. The other buildpacks listed above are maintained by the Cloud Foundry Foundation on GitHub. If you experience issues with the integration of Dynatrace into these buildpacks, please get in touch with Dynatrace Support. 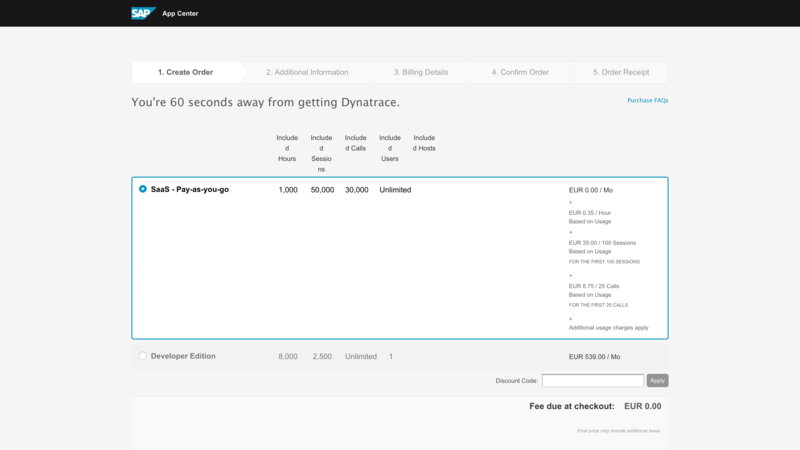 Create a single service instance for Dynatrace with the name dynatrace as a substring. 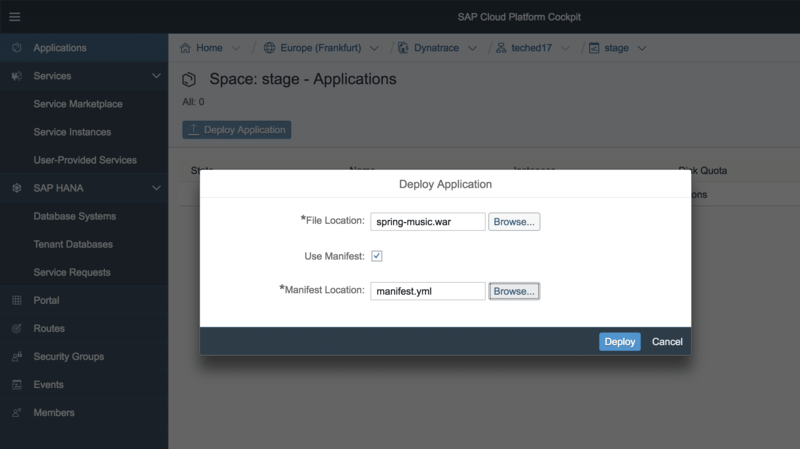 You can use the cf CLI or directly create a user-provided service with the SAP Cloud Platform Cockpit. You can either bind the created Dynatrace service to your application in your manifest.yml file prior to pushing your app or you can bind the service to your app and restage the application afterwards. 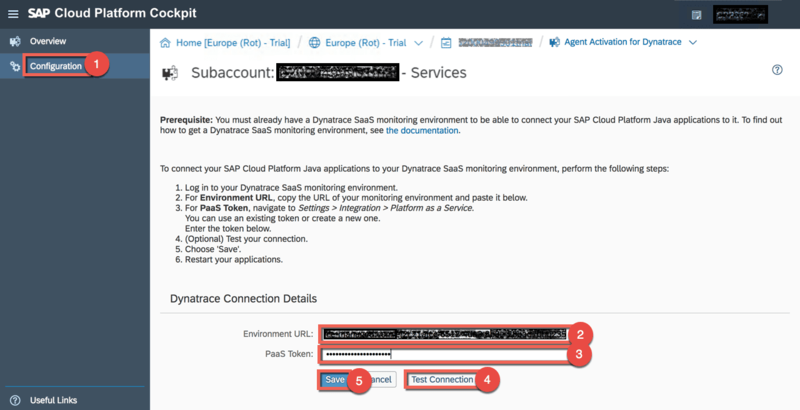 SAP provides an Agent Activation for Dynatrace which allows you to connect your Neo Java applications to your Dynatrace SaaS monitoring environment. For more information, see What is the Agent Activation for Dynatrace. Please have your Dynatrace environment ID and a generated PaaS token ready.